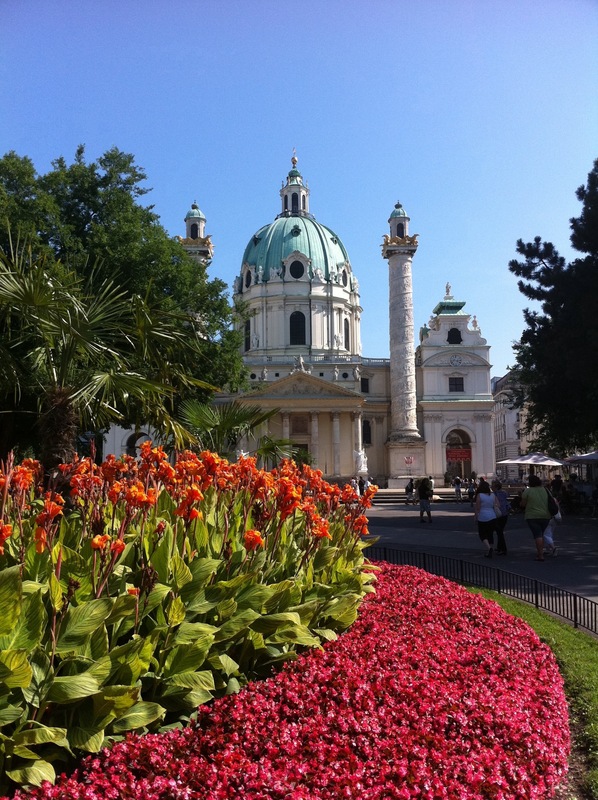 Vienna, Austria…I made my way via train to Vienna or Wien as it’s called here. The four hour train ride was easy enough and all went smoothly. Upon arriving in Vienna, the train station was a bit confusing and with it being Sunday, the tourist info point was closed…I found my way to the taxis nevertheless and on to my hotel. The city is extremely hot! A brutal 90 degrees and it’s sweltering…I notice that typical of European cities, all the stores are closed with it being a Sunday! 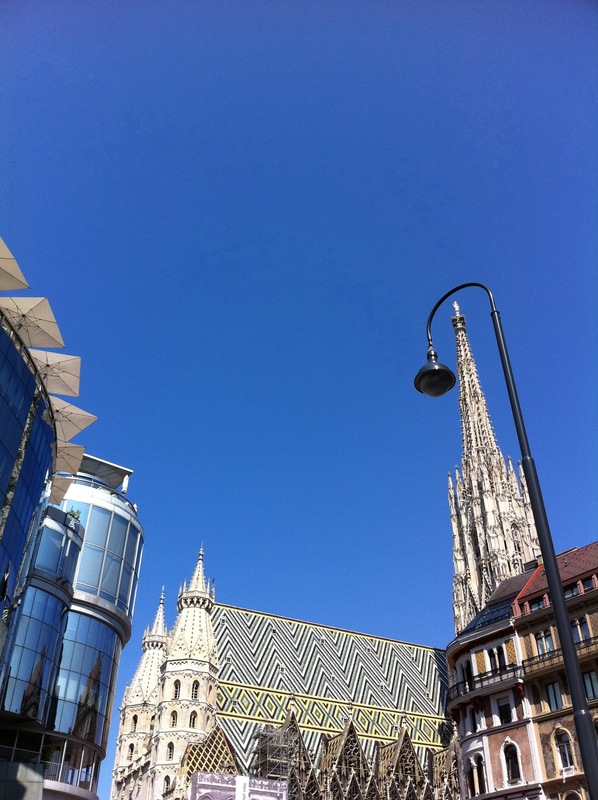 Vienna is HOT! Cooling misters are on all along the wide streets and people are looking for relief huddled underneath them…I am right in the middle of the action. The city has a very German vibe as I walk through Karlsplatz and Stephansplatz. 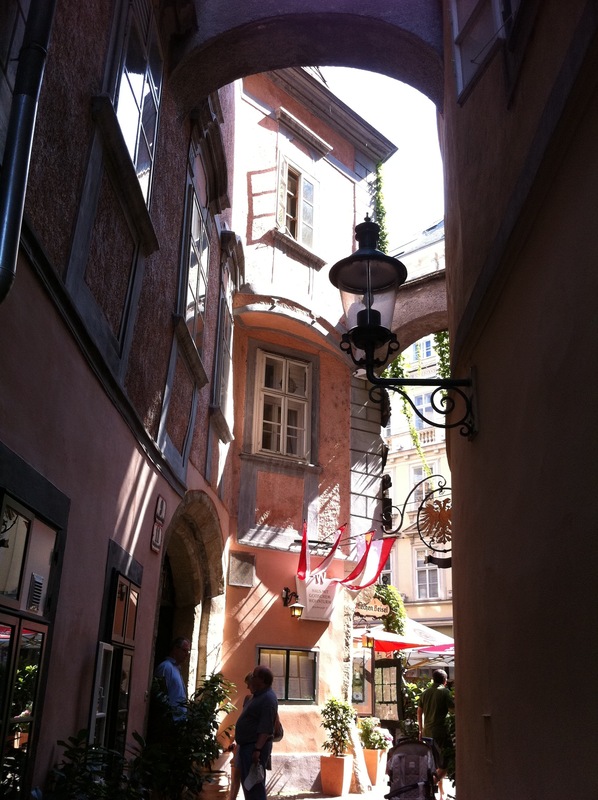 I love the wide thoroughfares lined with cafes and Mozart everything. 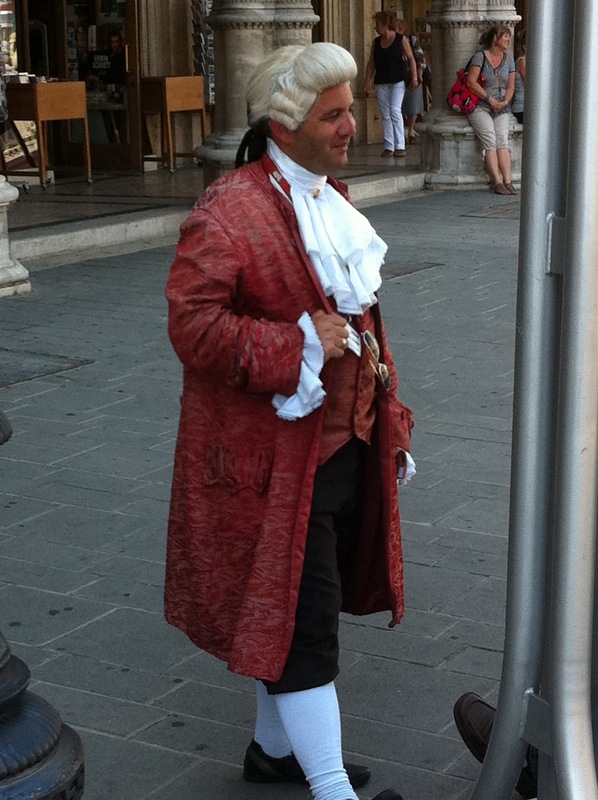 I feel especially sorry for the guys dressed as Mozart in this heat! 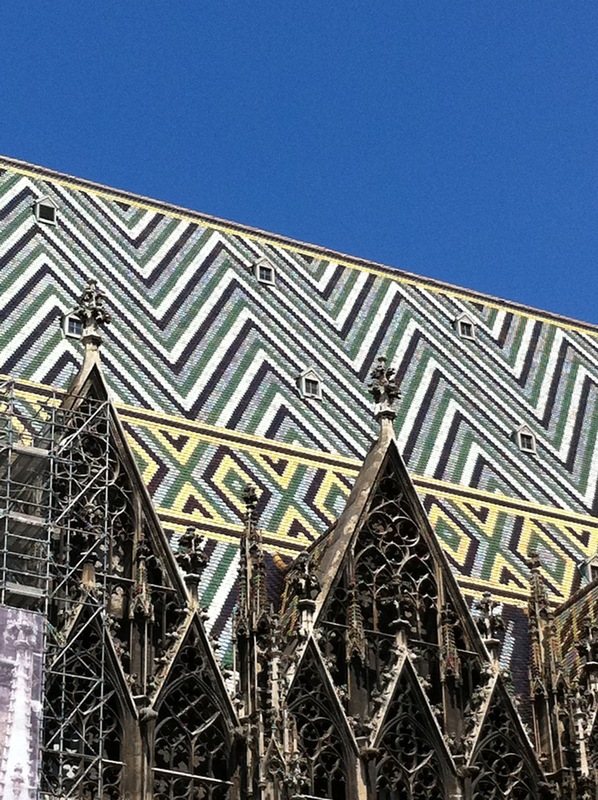 The Cathedral at Stephansplatz is magnificent with it’s brightly tiled roof and the use of gardens at other sights are a great compliment to the grand buildings. I see everyone either feasting on tortes of all kinds or hotdogs (wieners) that are sold on every corner! I love a hot dog! I go for a bratwurst as it reminds me of growing up with my mother’s German food! It’s delicious, but I am taken by the clever way it’s served; they take the roll and cut off one tip and insert a long hot rod in it, that makes the hole for the brat, then in goes the mustard and finally the wurst! It’s like the bratwurst is totally encased in the bun, no falling out! Thats clever…sometimes the simplest thing excites me! Tonight will be a challenge sans air conditioning, but travel is about surprise and sometimes compromise! « Older Post Karma is a Boomerang! » Newer Post Change of Plans!